The story of the W. C. Williams Building is a story that has been told thousands of times across America. Men and women with vision and drive decide to settle an area of the country, take up roots and raise a family. In so doing they build homes and businesses and leave a permanent legacy, a forever stamp on the cities and towns they frequented. 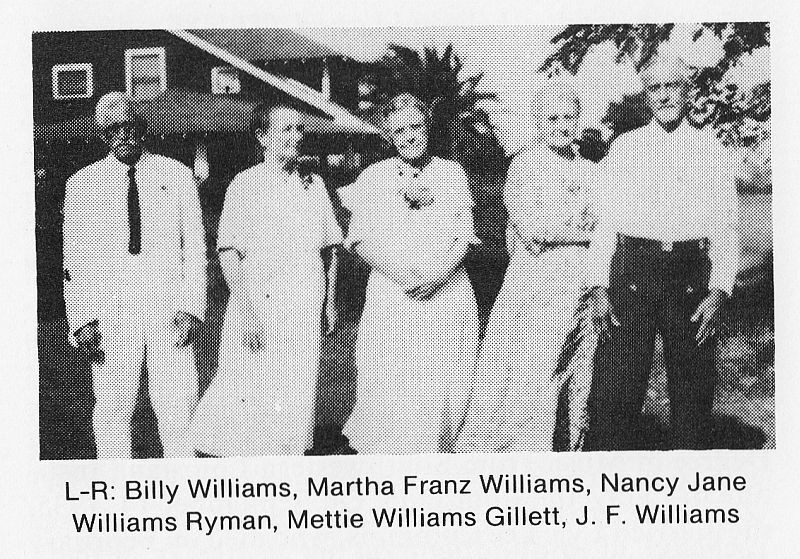 So it was with W. C. “Billy” Williams, born in 1856, son of immigrants − a Danish father and German mother − raised on wind and surf swept primitive Matagorda Island in an area called Dutch Settlement; raised during the Civil War; grew up with and was a childhood friend of well known western author Charles Angelo Siringo (1855-1928); married his childhood sweetheart, Martha Alice Franz Williams and raised a family of seven children who would all go on to be productive citizens. As part of this legacy, Billy Williams came to Palacios in 1904, purchased land in 1908 at the corner of Commerce and 5th Streets and built a 4,200 square foot two story brick Romanesque structure. The building would become a lasting testament to the drive and perseverance of those early settlers of Matagorda County. 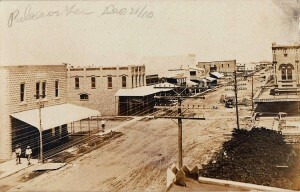 The W. C. Williams Building, built in 1909, has been a cornerstone and anchor to the commercial and cultural life of Palacios for 109 years. And to realize the structure has endured all these years in an area prone to hurricanes such as Carla in 1961 − a miracle indeed. Many businesses have graced her brick walls for the better part of the 20th Century and into the 21st Century. 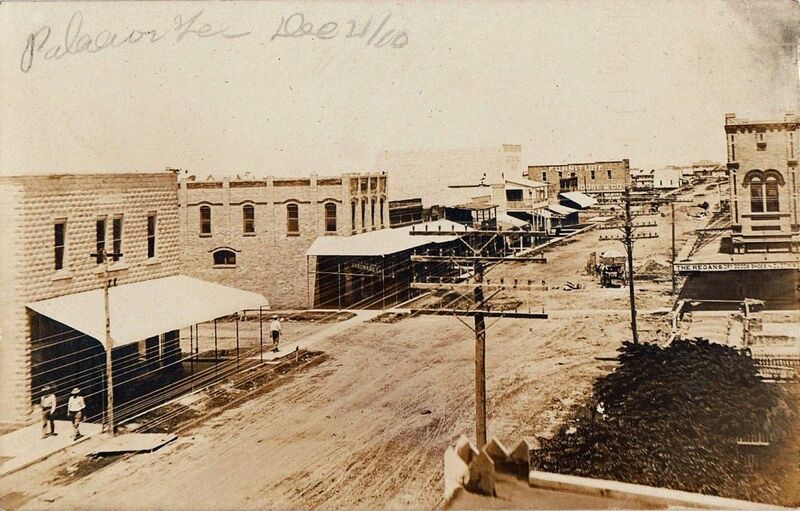 Countless thousands of Palacios citizens as well as visitors have walked and shopped within the structure. Hundreds of students studied and learned an occupation on her second floor in the 1980s and 1990s. The venerable structure has served the community well and will continue to do so well beyond the tenure of its current owners. 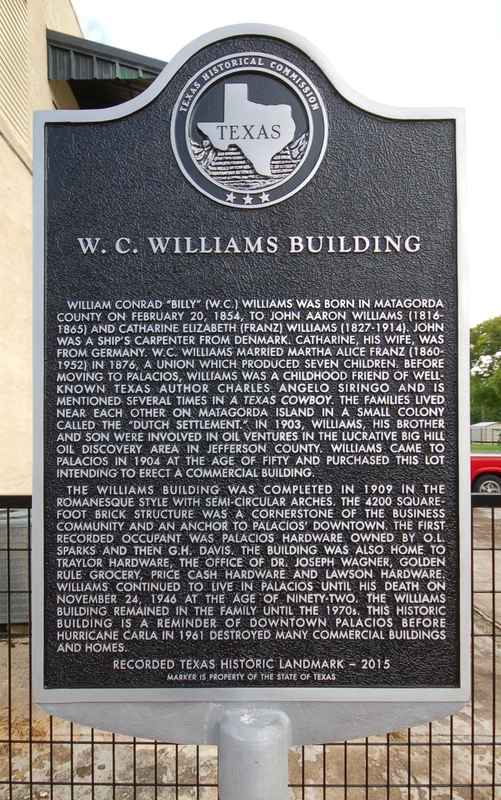 W. C. “Billy” Williams’ foresight to construct what became the W. C. Williams Building and the contribution the structure has made to Palacios business and history, will live on for years to come. Those of us who will have the opportunity to live and work in the structure will be forever indebted to Williams’ vision and the investment he made in the future of Palacios.